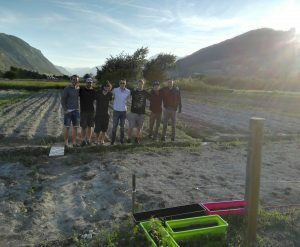 14 June 2017: Benjamin Foro represents a group of young entrepreneurs from the Wallis Canton in Switzerland, aspiring to evolve their start-up NOSTRAS into a unique Integral Enterprise – geared to contribute to the revitalization of the ailing economy in Wallis. The NOSTRAS team is driven to come up not only with a new form of identity-based enterprise – but to provide an entrepreneurial impulse for the region, that simultaneously ventures into new “healing products”, drives regional cultural and economic renewal, and also becomes a motor for local education – opening people’s minds towards new economic, agricultural, cultural and social possibilities. Benjamin’s Junior Fellowship, and his research-to-innovation, will be designed to strengthen Nostras’ impact in and contribution to the Wallis. 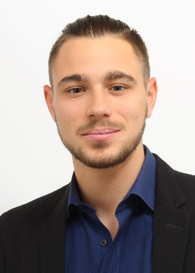 Junior Fellow Maxime Bertocchi, now with Geneva’s Impact Hub, will act as a mentor to Benjamin. Learn more about Benjamin Foro and his research-to-innovation here.